It’s said there’s no such thing as a free lunch. And the same is probably true of coffee, canapes, and cupcakes. Some industry experts are predicting that networking and associated hospitality will be the focal point of exhibition stands in the future and it’s already emerging as a popular trend. So, not only are you vying for customers’ attention, you need to whet their appetite, too. By investing in creative catering, you have the opportunity to gain a competitive advantage and it should no longer be considered as an optional, last-minute extra. 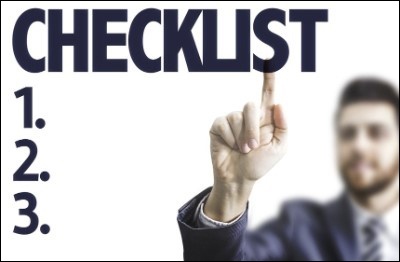 We all need checklists … written guides that walk us through the key steps in any complex procedure. They’re the best means of ensuring we consistently complete a process successfully. Checklists have been proven to save lives … especially when used by hospital surgeons and commercial airline pilots. For example, a series of checklists enabled the pilot Sully – played by Tom Hanks in the movie of the same name – to land a jet on the Hudson River and save 155 lives after the plane had lost both engines. Your shows may not be life-or-death events, but you will survive them more happily if you create and use a checklist with each key element from booking the space and planning the pre-show marketing, to the installation of your stand and post-show lead follow-ups. You might wonder about the value of offering space for visitors’ cloaks. Unless you are expecting Elvis, Dracula, Severus Snape, or Darth Vader. But your special guests will appreciate the hassle-free facility of being able to drop off a coat and perhaps a bag within a secure area on your stand, allowing them to more freely explore the event. Of course, it also makes your stand a destination point and will provide you with time to speak to the prospects or customers. Red is the colour of passion and drama. Orange signals encouragement. Yellow suggests optimism. While blue is the colour of trust and green conveys health and growth. 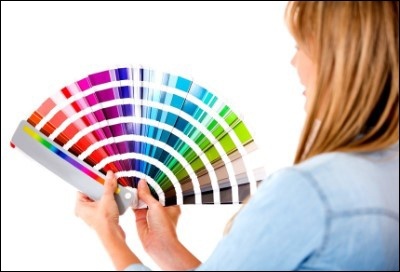 The colours used in your exhibition stand design can have a strong, and often subliminal, influence on event visitors. Of course, you should make good use of your brand colours. But they will work best when complemented by others that best match the messages you wish to convey. Competitions come in all shapes and sizes. Some of the earliest took the form of rivalry for supremacy from gladiators and chariot racing to lance-wielding jousts. Today’s competitions are not so physical, but they are no less hotly contested. And the right format can increase attendance on your exhibition stand and boost engagement. The most successful exhibition stand competitions often begin by being promoted within websites and social media channels then continue at actual events, perhaps culminating in the selection of winners. You can also have hands-on competitions on your stand with visitors participating in skill tests, fun games, and other creative challenges. 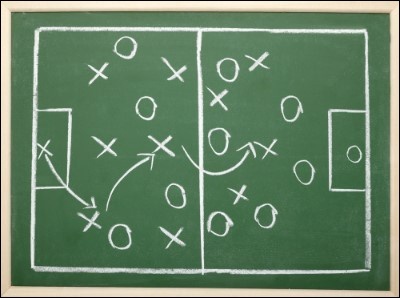 The top sporting teams now employ scouts to analyse opponents and discover their strengths, weaknesses, tactics, and styles of play. You can gain a competitive advantage by conducting research into competitors’ event strategy and participation. Google text and image searches. LinkedIn company and team pages. Official event websites and digital channels. From a bob to a grand, a monkey, pony, tenner, score, and a ton, we have many terms for money. And a fair bit of it is spent on attending exhibitions and trade shows. But these same events also offer cost-saving opportunities. And, the next time your Financial Director questions the amount spent on a show, you can advise that the ROI includes, amongst other factors, saving the cost of attending multiple meetings at a variety of locations. Old Mother Hubbard went to the cupboard, to give the poor dog a bone; But when she came there, the cupboard was bare, and so the poor dog had none. On some exhibition stands, the old lady might not even a cupboard to open. It may sound like a small detail, but ignoring storage space at the exhibition stand design stage can cause multiple later complications. For example, where are you going to put bags, extra brochures, giveaways etc? Gamification, virtual and augmented reality, photo booths, and pop-up workplaces … they all act as forms of customer engagement. Many say that customer engagement should be at the heart of all exhibition and event strategies. And, while this may be true, you should focus on forms of engagement that are relevant to your products or services, rather than just for the sake of attracting attention. The cost of acquiring a new customer can be anything from five times higher than to keep an existing one. It, therefore, makes sense to ensure existing customers form part of your exhibiting strategy. In addition, by inviting customers to visit you during events, you can make strong savings compared to what it would otherwise cost you to travel to see them individually.